This package here is ONLY available for Unreal Engine 4.15 (or newer)! Contents are in .UASSET format! 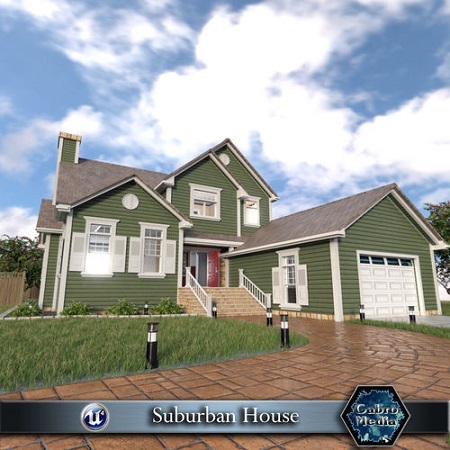 Suburban House is a completely furnished home asset that contains a detailed house model with separated submeshes (doors, windows, shutters) and 218 high-quality, interactive props. Every interactive model has properly separated and pivoted submeshes, ready to be animated (knobs, levers, switches, cabinet doors, drawers). Every mesh is organized and Blueprinted for convenient access. Basecolor (_BC), Metallic, Roughness, Ambient Occlusion (_MTRAO in RGB packed, non-sRGB), Emission (_E), Opacity (_O in basecolor’s alpha channel). All materials have assigned PBR texture inputs, applicable ones have scalar parameters/material instances provided for customization. Note: The house mesh is NOT modular, but is split to parts for optimized lightmap resolution and top-down camera support. The poly count indicated here (250k) refers to the entire demo scene with all props, fully assembled. The package is optimized for desktops, however, according to customer feedback, it runs great on PC VR. A simple asset pack of vehicles, buildings and props to add to our other simple assets. Modular sections are easy to piece together in a variety of combinations. Combine the best of both worlds when working on your 3D game! The ease of BSP level construction with tried and tested tools can now be married to the power, speed and high performance of the Unreal Engine. HammUEr (currently Windows only) is a plugin that lets you build your levels with Valve’s Hammer map editor (VMF), Doom3’s DoomEdit (MAP/PROC) or an idTech2-3(Quake 1-3 and assorted other games that use the engine with varying levels of success and no guarantee of perfect imports)-based tool like GTKRadiant, JackHammer or Trenchbroom (MAP). With just a few simple clicks, you can have them imported into your Unreal Engine project as a collection of meshes placed in your scene the way you want, where you want. Want to change something? 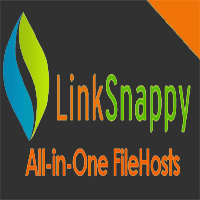 Make your edits in your favourite tool, then save, re-import, and you’re done. During the importing process you can assign materials already in your project to the original material names, or if you have the source images – (TGA/BMP/PNG/JPG)/VTF&VMT/SHADER(Q3)/MTR(D3)/WAD(Quake1 & Halflife)/WAL(Quake 2) – you can import them into UE as material instances based on a template material of your choice, and let HammUEr automatically find and assign the right ones. Don’t want certain materials to show? Mark them no-draw and HammUEr will automatically not build sides for them! Want to start building a level in Hammer with your UE materials for true WYSIWYG level editing? HammUEr can do that by exporting your UE material textures to VMT/VTF combos for easy use in Hammer with one click. Have Source models you created for your maps? HammUEr can bring them into Unreal Engine for you and places them where they belong. Use overlays and decals? HammUEr will also import those for you.